Klinger Creative will be vending on October 20th at Fremont Park in Midtown Sacramento (corner of 16th+Q streets). I will have my new notepads, holiday cards, and an assortment of greeting cards including designs so new that they aren’t on my website yet. Please come down and stock up! The event runs from 11a-5p. This is a great time to get ahead on your holiday shopping and a really fun, FREE family friendly event open to everyone. 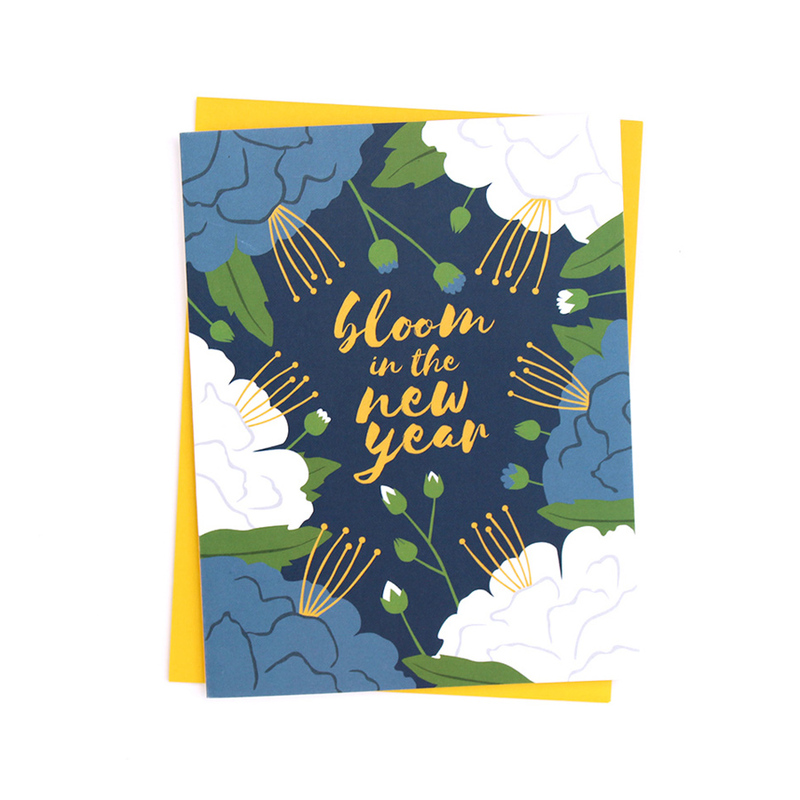 Another brand new greeting card for 2018! Squirrels can be very pesky. They hide nuts in your garden. They dig up seedlings. They chatter loudly while you try to enjoy your patio. But they are kind of cute and very crafty. As always this card is designed in California and printed in the USA on 100% recycled paper. 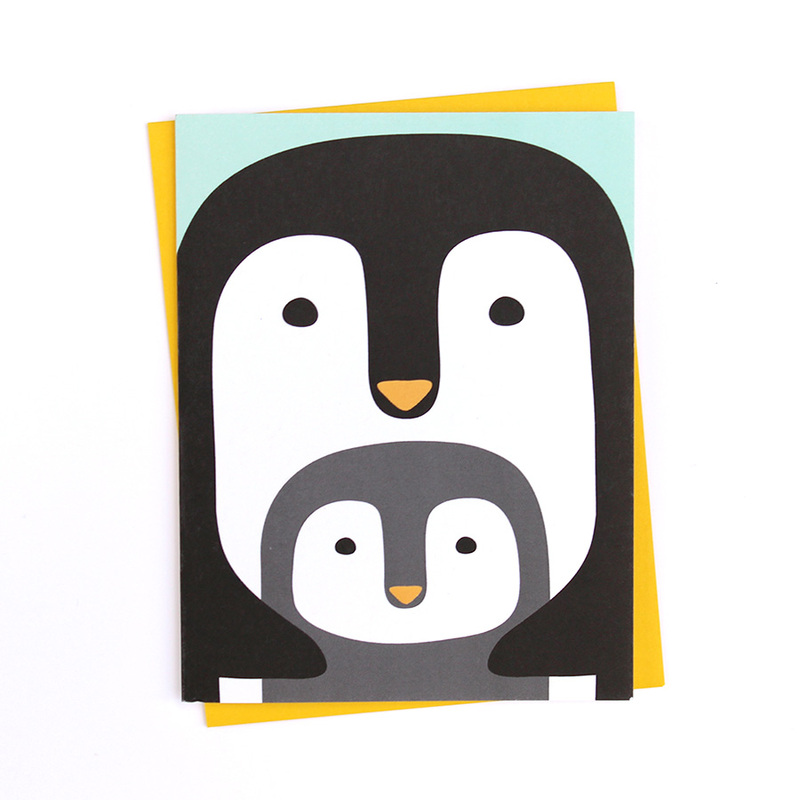 Brand new for 2018 is this adorable penguins card. It features a parent and baby penguin and I’m pretty smitten with it. This card is available in singles and sets of 10. There’s no text on it, so it’s perfect for your own holiday message. Heck you could even use it as a thank you card, notecard, new baby welcome card, etc. Printed in the USA on 100% recycled card stock. Brand new holiday cards for 2018 are now up in the shop! I love this new batch. There’s quails, puns, pretty flowers and more. For the last week of August I'm offering free shipping in the shop with the code FREESHIP18. Grab some thank you cards, birthday cards, or even get ahead on your holiday card mailing. My longtime friend Chris Cacciatore of Dullahan Software launched his Kickstarter campaign this morning to raise $5,000 to fund his game Nebs 'n Debs that he's been working on for the past several years. He came in 2nd in the 2016 NESDEV competition, and since then has been refining and developing it into a fully playable game. It's available to play digitally with an NES emulator or you can get a real-deal NES cartridge if you still have your original Nintendo. I've been assisting with the design of the box and other elements, but the original illustration was created by the incredibly talented Kaela Camille Agustin. Check out her wonderful work on her website. Go support this Kickstarter campaign and/or share with your friends! One of the most requests I get is for dog greeting cards. Rejoice dog lovers, they are here. Four illustrated dog greeting cards to be exact. Here's the first one featuring two sweet yellow labs. This card is colorful and bold and comes in singles and sets. Available now in the shop.